What began as a few spontaneous DJ sets between good friends and collaborators has grown into a hybrid stage persona. 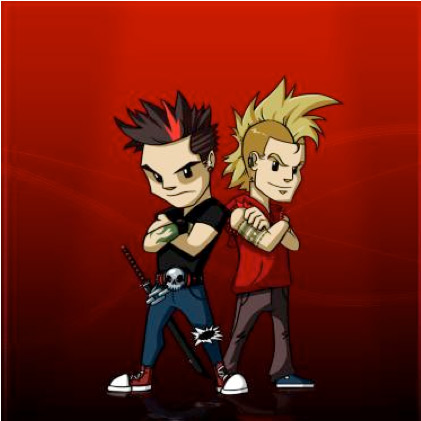 The result is the New World Punx (NWP), the high-energy DJ duo consisting of Markus Schulz and Ferry Corsten. The name derives from Ferry Corsten’s anthem, ‘Punk’ and Markus Schulz’s track, ‘The New World’. The NWP sound is harder, more driving and more aggressive than the melodic, euphoric style of soaring trance. Be they side-by-side onstage or in the studio releasing music under the NWP moniker, Schulz and Corsten’s combined persona is much tighter and more dynamic than the longer, more progressive sets they’re known to play solo. The initial seeds of inspiration for NWP were born during Schulz and Corsten’s back-to-back set at Godskitchen in Birmingham in March 2012, evolving into tag-teaming sets at Electric Daisy Carnival (EDC) at Tao Beach in Las Vegas, and Echostage in Washington D.C., the latter a seven-hour gig that was broadcast live in the U.S. on SiriusXM Radio. The result is a perfect sonic storm that caters to the short attention spans of today’s tech-savvy music consumers. The New World Punx officially launch worldwide with their first three shows in North America: March 24 at Mansion in Miami, Florida; March 30 at “The World’s Most Famous Arena,” Madison Square Garden in New York City, during the A State Of Trance 600-The Expedition world tour; and March 31 at Bal en Blanc in Montreal, Canada. European dates will be announced soon.